Thank you SO much to everyone for supporting Cristin's Cookies to reach over 1,000 fans! What an honor. I am so very humbled and touched and feel truly blessed for all your support. Thank you also to CopperGifts.com for fully hosting this give-away and providing such wonderful prizes! I know you just want to know who won so lets get to it.... drum roll please... And we have a winner! Well TWO winners thanks to the incredible generosity of CopperGifts.com! Congratulations to Melissa of Simply Sweets by Honeybee! Grand Prize #1 (The cutter and decorating suplies)LOOK AT ALL THIS STUFF - WOW! * Pink Tweezers/tongs, item 5478 (these are great for applying the icing eyes and the red hearts) and they are PINK! 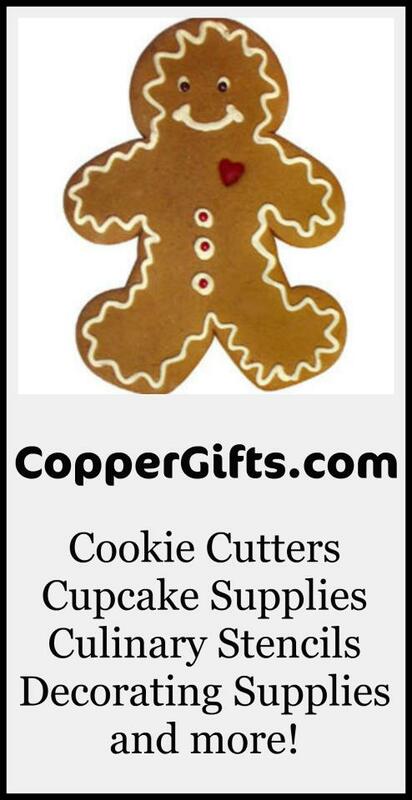 * Lovebird Copper Cookie Cutter - this is so great for Valentines Day and so many other reasons to make this adorable cookie! 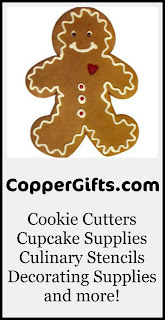 Thank you everyone for playing along and your incredibly nice comments and sharing the give-away on your pages and telling CopperGifts.com how much you appreciate them! I've been holding off on blog posts and cookie pictures and tutorials during this give-away, so I'm very excited to get back to sharing! I have SO many new cookies to show you! If you haven't already, sign up to receive email updates (up toward the top, right hand side) on the cookie pictures and tutorials and future give-aways and of course our fun COOKIE CHALLENGES! Thanks again everyone for playing along and an incredible thanks to CopperGifts.com for hosting the give-away! Congratulations to your winners. The snowglobe is adorable! 1,000 Fan GIVE-AWAY Sponsored by CopperGifts.com!